Le Cirque. The circus (in French). If you are expecting clowns to serve up your sirloin and acrobats to turn cartwheels while you munch, you would be sorely disappointed. The capital’s newly-opened high-end dining restaurant, located on the 10th floor of the Leela Palace New Delhi, takes itself very seriously indeed and dishes up some truly delicious fare together with wonderfully unobtrusive service. 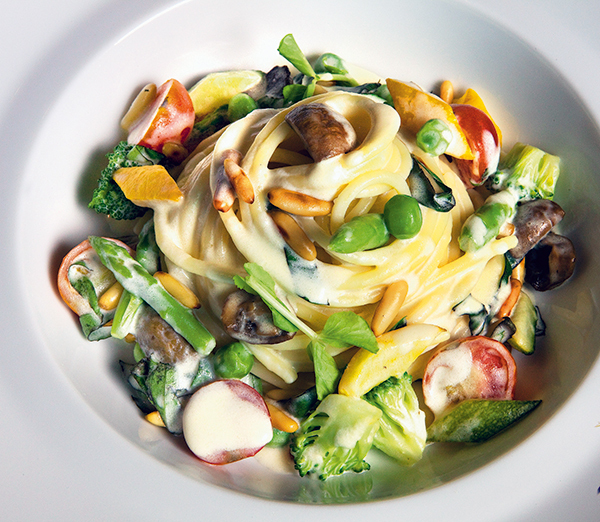 Designed by the renowned Design Spin Studio of Japan, the restaurant echoes the hotel’s elegance in theme. You enter into a bar area where you may sip a cool cocktail. Further in, a live cooking station features chefs busy at their finishing touches. For those who prefer a more private dining experience the large space affords three private dining rooms, including a Chef’s Table that can open onto the show kitchen, with delicacies arriving directly from the chef’s space. The main dining area, where we are seated, is more a-bustle with the city’s well-dressed A-listers imbibing delectable fare and fine wines. Sirio Maccioni, the founder of Le Cirque is a living legend and the Delhi restaurant represents the chain’s first inroads into Asia. Maccioni, over the past half century, has wined and dined high society in New York and counts among his friends a host of celebrities from the late Frank Sinatra and Frank Zappa to Nancy Reagan and Ivana Trump. The Cirque, New Delhi, boasts on its walls images of some of the high and mighty who have been its patrons. Along with his wife Ediginia and their three sons, Mario, Marco and Mauro, Maccioni operates two New York restaurants Le Cirque and Osterio del Circo, three Las Vegas restaurants with MGM Casino and Resorts including the Michelin-starred Le Cirque in the iconic Bellagio hotel and two Dominican-based restaurants in the Casa de Campo resort. Be all that as it may, the test of the restaurant is, after all, in the eating. 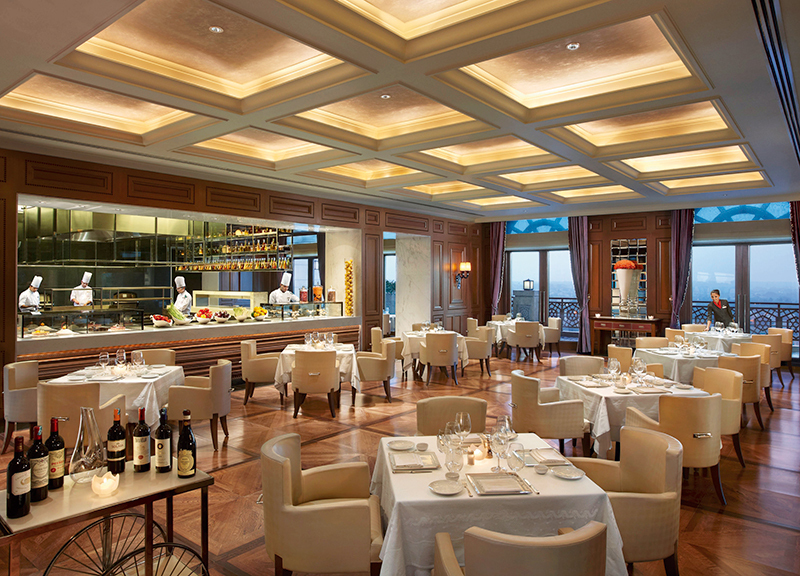 And Le Cirque thrills the taste buds in every way. As we pick on some delectable selections of table bread, we leave it to the restaurant’s charming manager Prateek Swarup to lead us through a delightful gastronomic tour of the restaurant’s menu, served on especially-commissioned crockery with almost-not-there clowns on the rim. We prefer a light white wine, a fresh sauvignon blanc as accompaniment. The meal starts with little more than a spoonful of tomato soup with basil oil and crouton, served in the dip of an enormous white bowl. It opens up our taste buds and curiosity for more. The Le Cirque Salad is next and crispy fresh with garnishing of olives and artichokes, all tossed up in a balsamic truffle dressing. The roasted pumpkin soup is delicious with unexpected bits of doused poached pear, vanilla oil and goat cheese croutons. The lobster risotto is a must with the risotto creamy enough to shave with and the lobster chunks lusciously tender. Having led me and my two companions on the same gastro-route thus far, Prateek decides to divert into individually-selected main courses, hitting on the right choices for each one of us, quite amazingly. 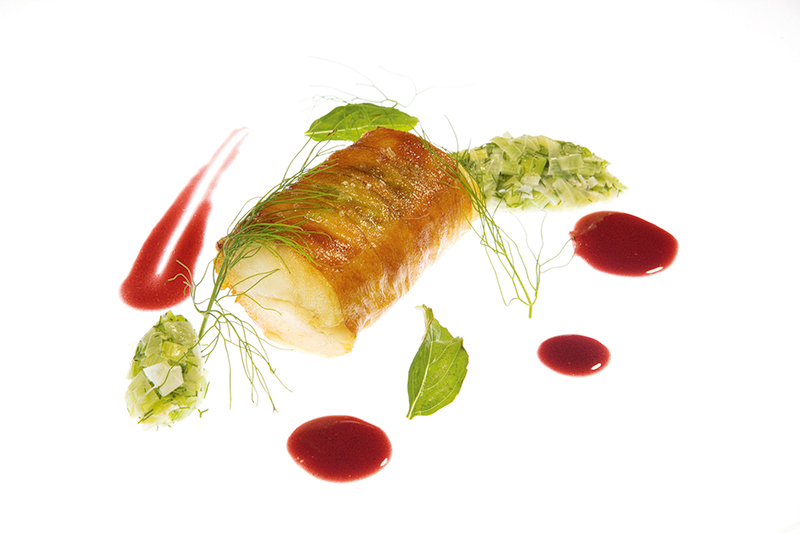 There’s a signature paupiette of black cod ensconced in a fine crispy potato on a bed of leeks – tender, subtle and expertly put together. Then, a grilled chicken paillard with morel sauce and sautéed zucchini – succulently delicious. And my own burst of flavour prime Rossini foie gras tenderly pan fried with literally a painterly dash of creamed spinach and truffle jus. Formidable fare this and pretty enough to photograph for posterity. 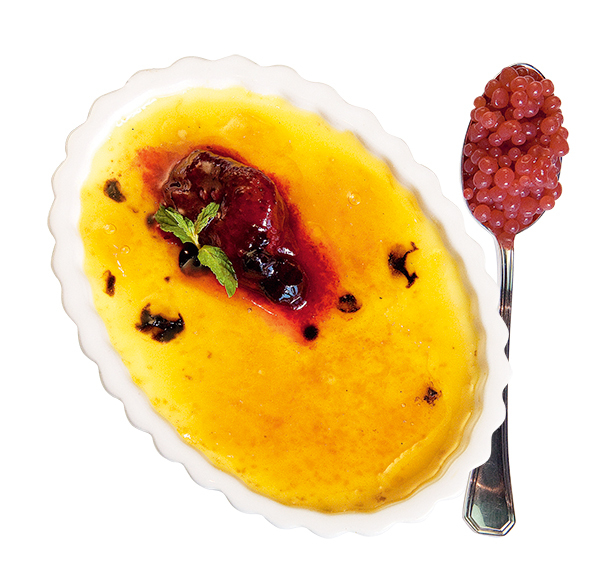 Desserts arrive with the fanfare of a steaming floating island, a signature crème brulee in a dish that reveals the recipe as you slowly empty it and a sticky toffee pudding with an ice cream highlight. Replete and content as we are, we sip at some satisfying camomille tea with a bite of petit fours. The excellent meal is in part traditional French, in part adapted Italian with a touch of local ingredients incorporated into the fare by Chef Bhoite, (Mickey to those who know him), a champion of fine seasonable produce. 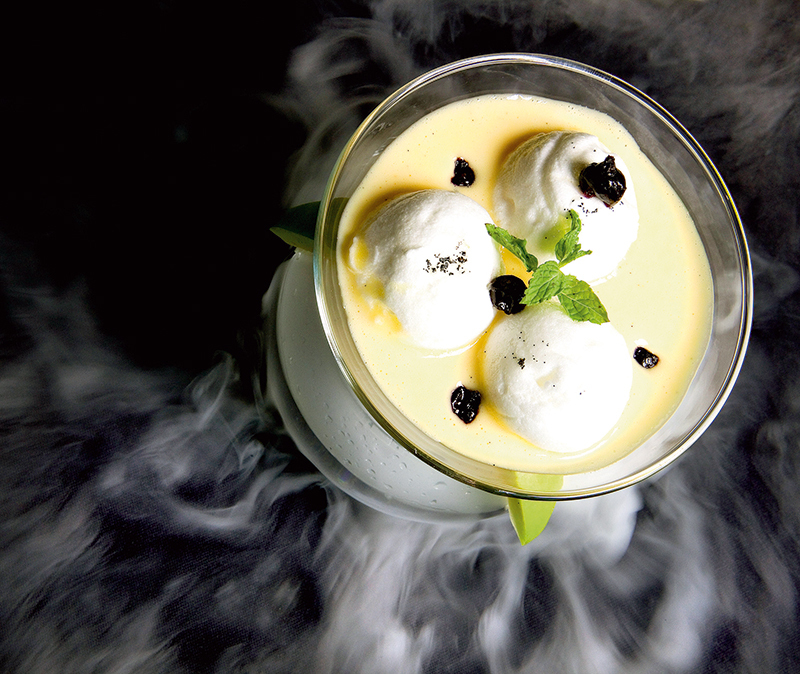 The chef’s innovations on the menu include a chikoo dessert as well as a masala tea tiramisu. The Le Cirque classic dishes include arancini risotto, mama egi’s ravioli, tuna in pistachio crust, among others that are marked on the menu. The restaurant also offers wine aficionados an impressive wine list with over 80 labels of Italian wines and 100 labels of French wines. If you are looking for a gastronomically challenging and entertaining evening, you could not do better than in the luxe environs of Le Cirque.